After a couple weeks on hiatus, I have returned. Thank you for patiently hanging in there. This post is not so much wine-focused as it is just a fun night spent at a few very different places recently which happen to all serve wine. Vancouver has more and more terrific places to swirl a fine glass of vino all the time but, every so often, a trip across the bridge is in order. A couple weeks ago we checked out Uptown Billiard Club which celebrates its 20th anniversary this Oct 7 and, therefore, should be considered a Portland institution. Uptown is a swanky, dark restaurant/lounge/pool hall/game room all rolled into one. Its décor is elegant accented by rich fabrics, soft lighting and personalized service. Intimate enough for a date night while managing to maintain approachability for game night with friends. They also have seasonally-inspired 5-course dinners that can be elevated with wine-appropriate pairings. 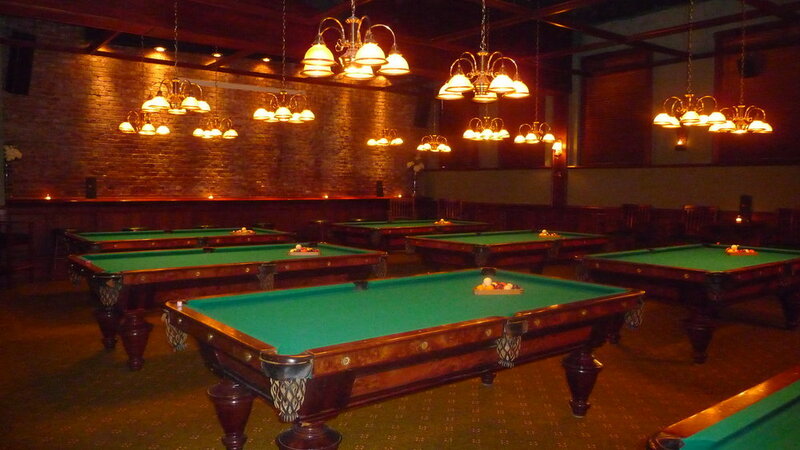 The second, more intimate, pool room at Uptown Billiards. Fun to reserve a table by the hour for date night or a group of friends in a well-appointed restaurant and lounge. I paired my goat cheese ravioli with a glass of Sicilian Syrah. Sicilian Syrah, that's just interesting, isn't it? Uptown has a well-chosen wine list with offerings from Champagne-style to Sauvignon Blanc to Bordeaux blends to dessert wines and everything in between. 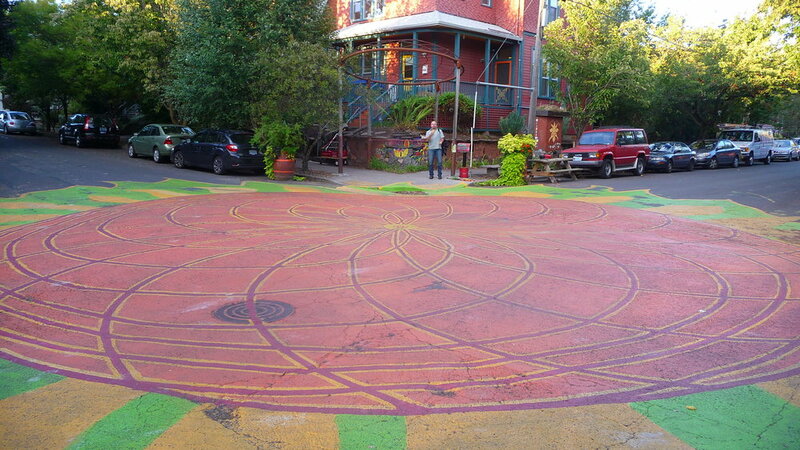 Some of the local color of SE Portland...one block south of The Pied Cow Coffeehouse. Our night turned eclectic when we decided to hop over to SE Portland’s Pied Cow Coffeehouse which serves alcohol, as well. On a warm summer evening, the ample outdoor seating of Pied Cow under light-strung trees is just chill. Remembering the wonderful wines we had in Portugal back in May, we split a half carafe of Portuguese wine and people watched as others partook in hookah, cheese fondue, in-season berry desserts, hummus and tea. The place caters to a varied clientele which is what I adore about NE and SE Portland. The wait staff was friendly and there is indoor seating for less-than-desirable NW weather. Last stop had to be Le Bistro Montage. Now this place IS a Portland institution. Great for late-night cravings, after-concert food and some amazing mac and cheese options. I chose tomato basil pesto mac to go with my Domaine d’Augeron Rouge. A blend of largely Merlot with a splash of Cabernet Franc, it marries well with pasta dishes dressed in red sauces. FYI for dog people: Our pups could’ve actually joined us at Uptown Billiard because they have sidewalk seating in the summer time and The Pied Cow is dog-friendly, as well.